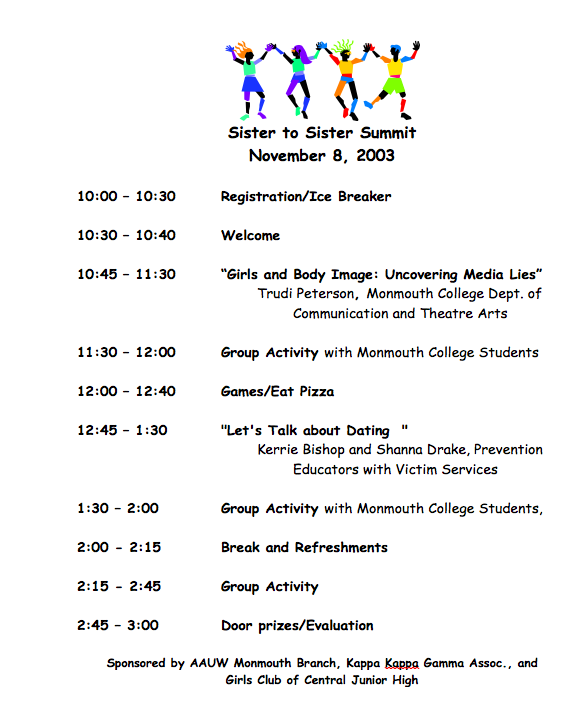 Trudi Peterson worked with AAUW to sponsor Sister to-Sister Summits event in Monmouth. 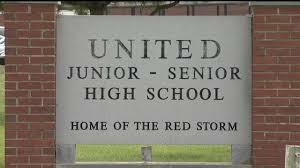 She spoke to junior high school girls at United High School about body image. Trudi presented advertisements so the high school groups could analyze the advertisements. She asked the group of girls who created the advertisements and how women were portrayed in the advertisements. The group also discussed how women can resist these images. Overall, the message was for the girls to be able to accept themselves and to be critical of mediated images of women. She formed part of this event in 2000 and in 2003. American Association of University Women conducts a program for girls in the 5th grade to the 9th grade that discussed topics such as self-esteem, healthy decision making, empowerment, and diversity. The purpose of this program is for girls to have a place where they can talk about problems they are encountering, to help improve their self-esteem, and help them accept themselves and their peers. The list of activities that where created for the girls.